Joey Birlem is an American Instagram star and social media influencer who became known for his work on social media platforms. He has over 1.5 million followers on Instagram. His self-titled YouTube channel has amassed over 200k subscribers. The young budding star is also a talented singer who is known for his music video titled Anything. Joey Birlem was born on May 29, 2002, in Los Angeles, California, United States. He is currently 16 years old. He’s a high school student. He belongs to North American ethnicity. There’s very little known about her parents. His father name is unknown. His mother name is Jen Valdez. He has four siblings, an older sister, Bella Birlem, an older brother Scotty Birlem, a younger sister Sophia Birlem, and a younger brother Kashius Birlem. The information about his dating life is unknown. Known for his strong presence on social media platforms where he has 1.5 million followers on Instagram and 200k subscribers on YouTube. Joey has an estimated net worth of $40 thousand dollars. Joey took music lessons at a very young age. 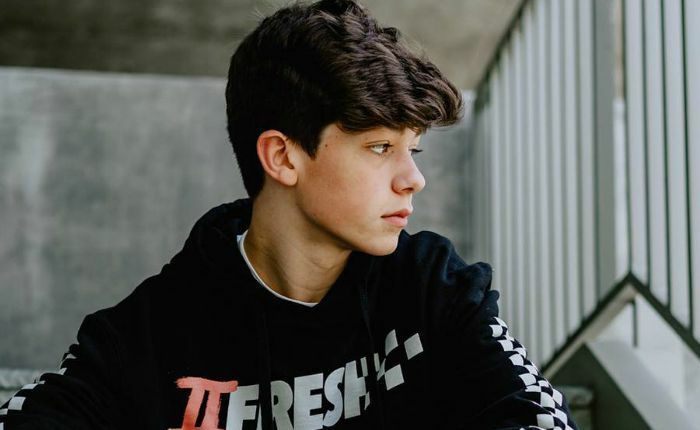 He joined Tik Tok (formerly Musical.ly) as he found it as a potential platform to expose his music talents. He is good friends with Tayler Holder and Charles Gitnick with whom he collaborates for videos and photos. He has a dog named Bella. He practiced skateboarding and became a young skateboarder. Internet stars Alissa Violet and Kylie Jenner are his celebrity crushes.